At Shipley, we believe that students begin to discover the joy of learning at an early age. That’s why we have a Lower School program that provides a strong academic foundation, teaching students as young as pre-K to think critically about the world around them while encouraging them to explore their interests and creativity. Our curriculum sets the stage for students to acquire the skills to be effective and engaged learners. They learn to analyze, synthesize and think critically, to listen carefully and ask questions, to appreciate diverse perspectives, and to cooperate and collaborate with others. These are the foundational skills that will prepare them for future success throughout school and in their lives beyond. 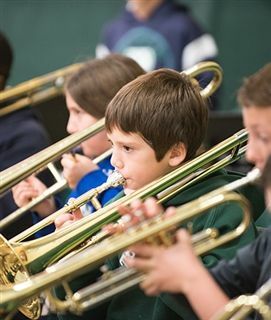 The Lower School curriculum balances rigorous academics with arts and athletics along a carefully designed, developmentally appropriate continuum. 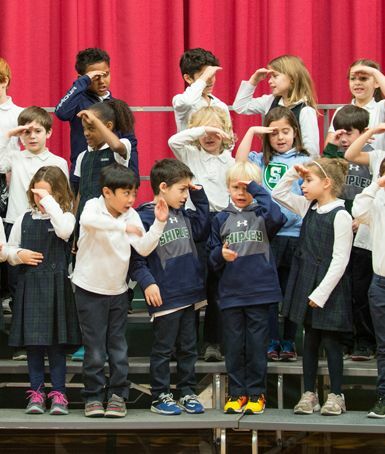 Even at a young age, we believe students can be analytical about a variety of disciplines, and the breadth of our curriculum sets our Lower School apart from others. It stresses the importance of play in learning social skills, and builds the academic, emotional, and physical skills necessary to set the foundation for independent and balanced learning throughout their years at Shipley. Visit the Lower School curriculum page to learn more. Technology in the Lower School is totally integrated into each classroom. We use IPads in PreK through 1st grade and MacBook Airs in 2nd through 5th grades, with students in fourth and fifth grade each assigned their own laptop. We believe learning can happen anytime and anywhere, which is why we have replaced separate computer classes with a technology facilitator who works alongside the classroom teacher. This collaboration between technology facilitator and teachers allows for an even more differentiated, individualized approach, one where technology can flow seamlessly throughout the curriculum. Students learn to use Google Apps for Education, digital photography and video, to blog, to do research and to connect with others via the Internet. They are also introduced to coding, opening doors to a multitude of new ways for them to learn, demonstrate and share their knowledge. 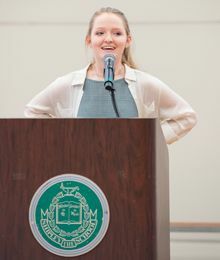 A Shipley education is not just about academic success—it is about learning how to be your best self, and having the self-awareness to discover what character traits it takes to do your best work. We believe that this self-awareness and development of ethics and character begins as early as pre-K, which is why our Character Education program is fully integrated into every classroom. 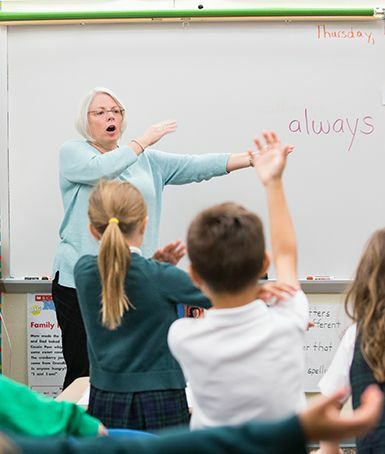 In the Lower School, students are learning to be independent as their teachers work with them to set goals and determine action steps to achieve those goals. Each classroom develops a compact, which makes students feel respected and bonds the classroom community together through a shared sense of responsibility. Time is allocated each week to discuss conflict resolution and to develop empathy and communication skills. 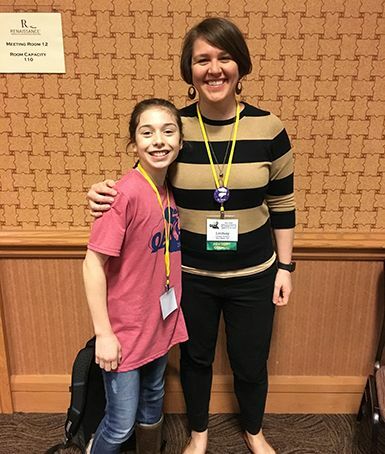 Through this holistic view of social and emotional learning that empowers academic learning, Character Education is a thread that is carried through every class, and prepares students to be confident learners and friends in the Middle School years to come. 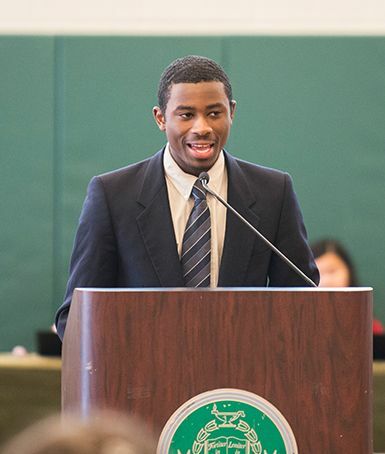 Learn more about Think, Care, Act, Character Education’s capstone project. Included is information on the required reading for students entering Grades 4 and 5, and a list of recommended books for children entering Pre-Kindergarten through Grade 4. 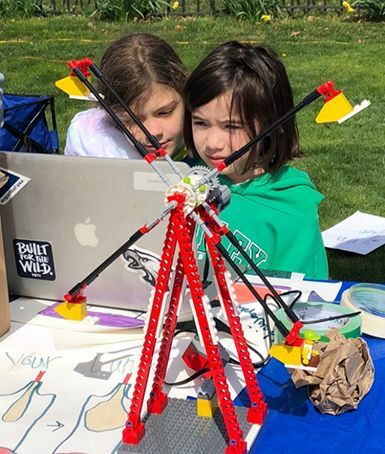 On April 21, several Shipley Lower School students participated in the first annual School Maker Faire, hosted by The Agnes Irwin School and The Baldwin School. Lower School science teacher Dan Del Duca shares his reflections on the day and excitement for next year's School Maker Faire. 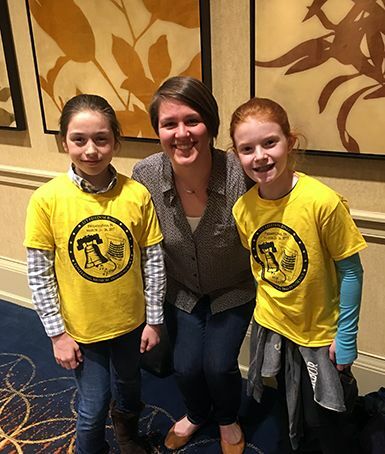 For well over a decade, Susan Reilly and her fellow third grade teachers have inspired their students to find joy in learning and to build confidence as public speakers through their annual Bagels ’n Bios unit. As part of a recent lesson, Shipley first graders shared problems they’ve encountered and how they solved them. These are their tips! Picture this: there’s an instructor at the front of the class, and she’s teaching students how to read. Here’s the twist: these “students” aren’t your typical elementary school students – they’re your typical elementary school teachers. And in the workshop, titled “The Challenge of Learning to Read,” we were going to get to experience all over again what it was like to learn to read just as our students do in our classrooms every day. 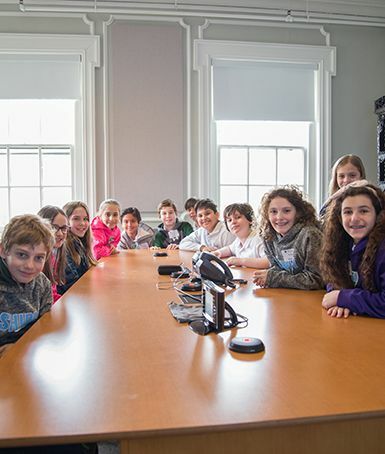 Shipley's Lower School Student Council aims to strengthen the Lower School community by identifying and improving various aspects of the School, from lunch selections to after-school programs. 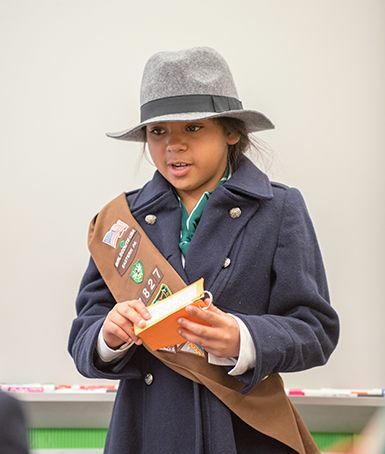 Learn more about Lower School Student Council and hear from the students about why they feel it's important. 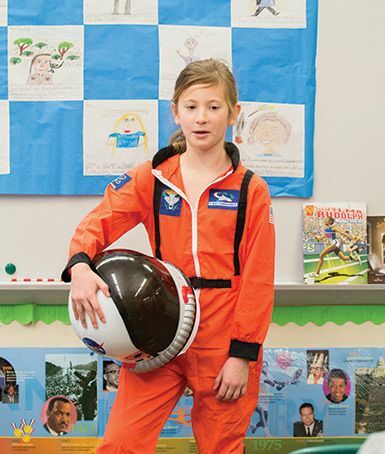 Each year, historical figures and popular culture icons such as Annie Oakley and Steve Jobs come alive in Shipley’s third grade classrooms. Read more about this much-anticipated project and see photos from the student presentations. There’s an old saying, “Give a man a fish and you feed him for a day; teach a man to fish and you feed him for a lifetime." While there isn’t any fishing happening in Marian Roche’s second grade classroom, she uses the same basic idea in teaching her students the foundational skills for reading and spelling. The community unit of the Kindergarten social studies curriculum engages students to learn more about the people and places around them. 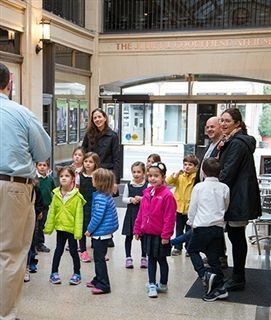 Based on their own curiosity the students write questions and conduct their own interview, beginning with their classmates and ending with field trips to local businesses. The annual fifth grade Think, Care, Act Fair celebrates our students' compassionate participation in the world through student-led service projects. 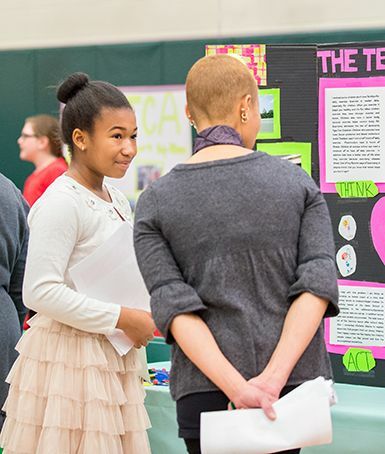 Today's TCA Fair showcased dozens of projects ranging from animal rights to water consumption. Shipley Lower School supports its sister school, The Brain Tree School in Uganda.Students spearhead fundraising efforts while building relationships with students and teachers. 4th grade students spend a day in Lancaster County, visiting Amish produce and livestock auctions and a one-room schoolhouse where they share and compare their culture, lives, and experiences. We believe that students can achieve the extraordinary when the act of learning evolves from a requirement to learn into a genuine desire to learn. It is when their individual interests and our rigorous education unite that this knowledge takes its deepest root. Any situation where students are challenged demands creative thought. Creativity drives our students to resist easy or reflexive responses. A creative mind discovers. It solves. It changes direction. It arms our students with the mental dexterity necessary to navigate all challenges, both in school and beyond. We believe students learn best in an environment where rigorous intellectual activities are informed by reassurance, guidance, and compassion. That’s why relationships are key to learning at Shipley. Our teachers know our students as learners and carefully develop connections with each of them. As a result, our students develop the confidence to explore, and a passion for learning they will carry forever.